"Can a great man be a good man?" Steve Jobs is not your ordinary biopic as the bulk of the film consists of three scenes set backstage before three of Jobs' biggest, and most landmark, Apple presentations. According to writer Aaron Sorkin, throughout these three scenes there will be flashbacks to pivotal moments in Jobs' life that will round out the story. This unusual formula looks to dive deep into the man and legend that Steve Jobs was. Steve Jobs is currently available to watch and stream, download, buy on demand at Amazon Prime, Amazon, Vudu, Google Play, iTunes, YouTube VOD online. 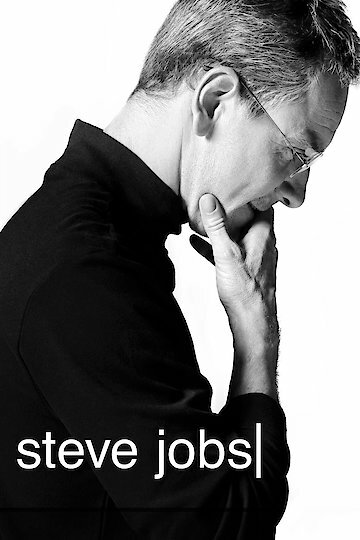 Audiences just aren't that into Steve Jobs, whether he's being played by Michael Fassbender or Ashton Kutcher.